We all know millennials love to travel, and we also know that travel peaks during the holidays. 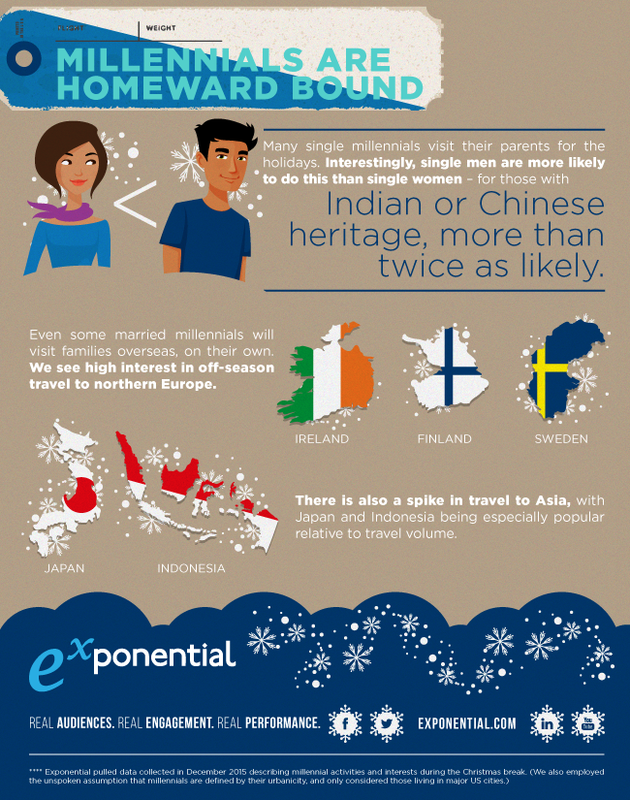 Thus, it’s no surprise that millennials are more likely than any other demographic to travel in December. Exponential took a closer look at the data to uncover the seasonal travel patterns and preferences among this generation. Do the findings surprise you?